│ ┌2A. Stems becoming lead-colored to brown, tan or stramineous in age, drying stramineous to yellowish brown and (usually) coarsely sulcateSulcate: Furrowed; grooved. .
│ │ ├3B. Blade 11.7-45.9 cm long, 1.1-3.6 times as long as wide, ovateOvate: to lanceolateLanceolate: ; primary lateral veinVein: Venation types: A. midrib; B. primary lateral veins; C. interprimaray veins; D. secondary veins; E. collective veins; F. tertiary veins; G. basal ribs; H. basal veins. s 4-19 pairs (if more than 12, blade less than 2.5 times as long as wide); spatheSpathe: A large sheathing bract enclosing the flower cluster. green or greenish to pale yellowish in fruit. │ ├2B. Stems remaining green, drying bright green and (usually) finely striate. │ │ ├5B. PetiolePetiole: Leaf stem. 7.4-18.8 cm long; blade 12.0-28.8 cm long. │ ├7B. PetiolePetiole: Leaf stem. sheaths involuteInvolute: In involute vernation both margins on opposing sides of the leaf are rolled up forming two tubes that meet at the midrib of the leaf. to horizontally splayed; inflorescences mostly solitary, rarely paired (in Philodendron ichthyoderma and Philodendron alliodorum); ripe fruits whitish to ochroleucous; seeds typically reddish or purplish. │ │ ┌8A. PetiolePetiole: Leaf stem. sheath involuteInvolute: In involute vernation both margins on opposing sides of the leaf are rolled up forming two tubes that meet at the midrib of the leaf. to erect for most of its length (may be splayed distally), pressing flat in lateral plane. │ │ │ ├9B. 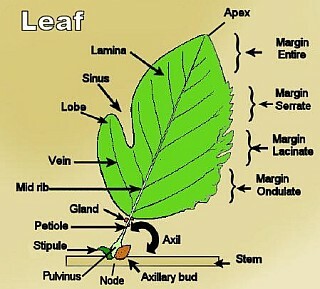 Epidermis of stems and petiolePetiole: Leaf stem. s strongly modified, either transversely fissured and scaly or else yellowish brown, brittle, and glossy; petiolePetiole: Leaf stem. 42-66% as long as blade; blade 26.3-47.1 cm long, 11.0-24.0 cm wide, with 15-25 pairs of primary lateral veinVein: Venation types: A. midrib; B. primary lateral veins; C. interprimaray veins; D. secondary veins; E. collective veins; F. tertiary veins; G. basal ribs; H. basal veins. s; spadixSpadix: A spike of minute flowers closely arranged around a fleshy axis and typically enclosed in a spathe. at anthesisAnthesis: The period during which pollen is presented and/or the stigma is receptive. 9.9-17.4 cm long; terrestrial plants or scandent epiphyteEpiphyte: A plant that grows harmlessly upon another plant and derives its moisture and nutrients from the air, rain, and sometimes from debris accumulating around it. s.